Public Alert Warning is the key to minimizing and treating threats at times of emergency on a local, regional and national scale: school shootings, terrorist acts, weather emergencies, earthquakes, industrial crises, health risks and biohazards. 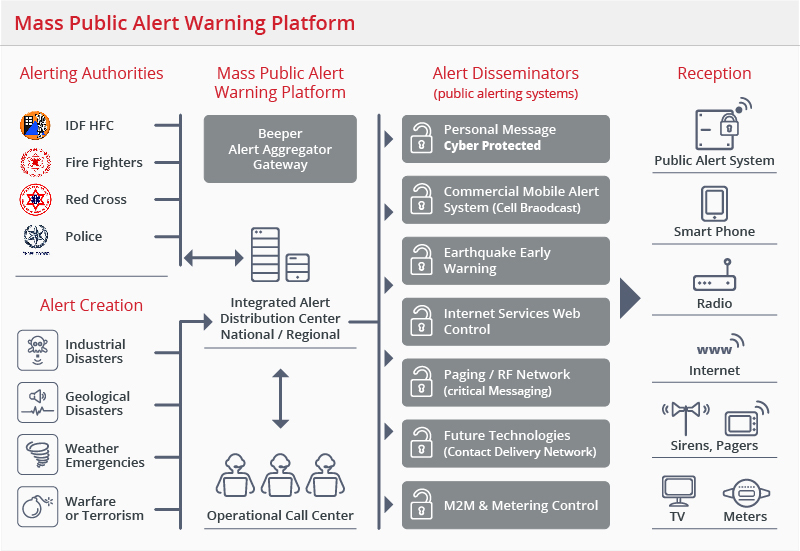 Beeper’s Mass Public Alert Warning Platform is a robust, trustworthy and fully-customizable solution for Disaster and Crisis Management. 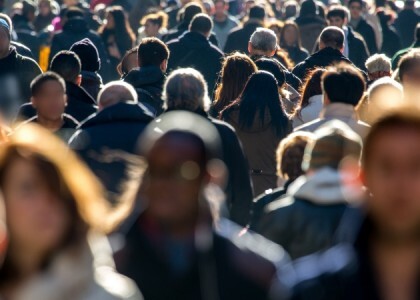 Collecting real-time data from numerous resources, the Mass Public Alert Warning Platform drastically improves response time from emergency authorities and acts as a crucial key component for public safety. With Beeper’s Mass Public Alert Warning Platform you can control disaster situations and prevent escalation by allowing the authorities to operate swiftly and efficiently and keeping human lives safer. The Mass Public Alert Distribution Platform is based on Beeper’s universal Alert Aggregator Gateway. 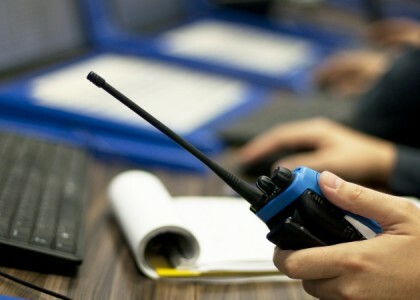 The Aggregator is triggered either by the alerting authorities (the police, the military, Fire Fighters, Red Cross and others) or by designated sensors and detectors. The Alert Aggregator Gateway can determine the alert profile to send the signal through the most efficient and secured channels. The alert is then dispatched to the relevant authorities and/or to public alerting systems, by various available messaging delivery methods. This makes the Aggregator and its performance highly survivable, ensuring that alerts reach their destination. Delivery methods can be customized depending on the type of crisis, desired technology and security level. Alerts are received on Critical Messaging User Equipment (CMUE): smartphones, radio and TV broadcasts, websites, sirens and many more. 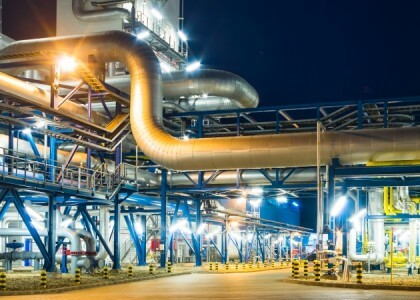 The entire process takes merely seconds, and can be used to automate critical processes within the community or on-site in industrial zones. Since 2000, the cities and Kibbutzim bordering with the Gaza Strip have suffered missile launches targeting homes, schools and factories. In recent years, the range for these missiles has grown significantly to threaten residents of Israel’s largest metropolis, Tel Aviv and the surrounding area. The IDF’s Home Front Command utilized Beeper’s Critical Messaging service to alert hearing impaired citizens of missile attacks in real-time. This has helped protect tens of thousands of users otherwise unable to receive alert warnings.